Last in a series on the heartbreaks and hopes of unsung Detroit area athletes. A thin drizzle fell that night, giving the streets an oily sheen under the lights. It was just past midnight, Monday turning to Tuesday, and a teenager named Tim Doil was driving through Troy with two friends, coming home from a high school graduation party. It was warm. Early June. They had Puff Daddy on the radio, singing “I’ll Be Missing You.” They were heading east. In the intersection up ahead, Crooks and Long Lake, Doil noticed a black Grand Prix coming west. And from the corner of his eye, to his right, he saw a white Trans Am moving fast from the south. Doil instinctively stepped on his brakes, even though the Trans Am had a red light. Something funny about the speed. One second later, with the disbelief of seeing someone fall out a window, Doil watched the Trans Am run that red light and plow broadside into the Grand Prix, splitting it in two. There was a loud boom, smashing glass, sparks and smoke and pieces of metal flying. “God, did you see that!” Doil yelled to his pals. He pulled his blue Oldsmobile to a safe spot, shut off the engine and jumped out. Near the median curb he saw the first body, a young man with blond hair. He was face down in a bloody mess. Doil had never seen a dead person before, but he was pretty sure he was looking at one now. Just a few feet away, there was another young man, dark-haired. He was facing up, barely breathing. Doil kneeled down and squeezed his hand. The young man gurgled. There was blood everywhere. Doil saw the eyes close and felt the life slip out of the young man’s fingers. He let them go. From the middle of the street, he heard the wounded howl of a woman in paid. He ran to join his buddies, who were already around her. It was so eerie, all these bodies in the rain. “What’s your name?” he asked the woman. “Lori,” she moaned. She had been driving the white Trans Am, but had been hurled out by the impact. She was bruised and bleeding, in her dying hour. But out of shock, she tried to lift herself, as if to get up to go. He ran to an area by some small trees, where the back half of the Grand Prix had landed. He swallowed hard. What he saw was the worst of all. It was a girl, or it been a girl, in a plaid shirt and jeans. She lay against the wreckage in a pool of bloody water. A few minutes earlier, Doil guessed, she had been the same as him, alive, laughing, maybe 17 or 18, on her way home for the night. ever imagine were in that black Grand Prix, that night, sober and happy. And now their fathers cry in the middle of the afternoon, and their mothers wait longingly for them to somehow burst through the door, still young, still laughing. Drink, drink, drive, die. This is the story of everyone that killer decision destroyed. And what really kills you is that it didn’t have to happen. Say good-bye to the first innocent victim. Nineteen-year-old Michael Jamieson, with the rangy frame of a baseball pitcher, his blond hair still parted in the middle, the way he wore it in high school, flashed his gleaming smile and held out a fresh-baked loaf. He had been home a month since finishing freshman year at Western Michigan. His mother, Penny, was glad to have him back, glad to have the commotion her youngest child brought with him. There were always friends coming by when Michael was around. They flopped in her living room couch the way teenagers do, watching TV, making jokes, sometimes falling asleep and spending the night facedown in the pillows. Penny liked Michael’s friends. She liked Andy Stindt, the former high school lacrosse star, who was here with Michael now. It was the night of June 2, 1997. The two had just come from getting their new uniforms at Kruse and Muer, a restaurant where they were due to start work the next day. Michael Jamieson was mischievous and he was witty. He liked the Beatles. He liked Mountain Dew. And he loved baseball. He kept sports sections boxed up under his bed, with trading cards of his hero, Nolan Ryan. When Michael was a kid, his stepfather, Randy Mapes, took him to a baseball camp run by former Tigers star Bill Freehan. Michael wanted desperately to meet the famous man, so Randy walked him over. “Don’t be nervous when you talk to him, OK, Mike? he said. Then when Freehan looked up, Randy froze. Michael never missed a beat. Like a lot of kids in Troy, Michael Jamieson blossomed through a bevy of school activities. He pitched for the Troy Athens team. He played soccer. He played the viola. He won an $8,000 scholarship to attend Western and his plan was to become a history teacher. For now, he was doing what most college freshmen do on summer break: working to make some cash. He loved the idea of working with Andy. They remained tight friends, even though they had chosen different colleges. Hey. Your high school ties are the ones that blind, aren’t they? surrounded by girls, grinning like bandits. “This bread is goo, huh? Her son said that night. “Mmm,” she answered, smiling through her bites. They stayed there a few more minutes, talking, eating, just another family moment in the kitchen. The Michael said they were going over to Andy’s and Penny said OK.
She heard the door close behind them. Say good-bye to the second innocent victim. Nineteen-year-old Andy Stindt — they called him Andy, Andrew, “Drew, whatever fit at the time — flipped through the pages of Nan Stindt’s high school yearbook, as she looked lovingly over his shoulder. He laughed at the photo of her synchronized swimming team. “Look at your hair!” he said again. Andy and Michael had driven back to the Stindts’ house in the black Grand Prix that belonged to Andy’s father, John. The task for the evening was to move a futon into Andy’s bedroom. But once they’d made the typical college freshmen mess –all the furniture pushed out in the hallway – Michael mentioned that Nan had graduated high school with a friend of his mother’s. “I can’t remember her maiden name,” Michael said. She dug out her old yearbook. And now she and Andy and Michael sat on the hallway floor, leafing through pages, sailing through time. to be named team captain when he returned to Albion for his sophomore year. coffeehouses – that is, when they weren’t busy shooting the breeze, entertaining girls. “Does he ever get mad?” friends would ask of Any. His disposition was unfailingly upbeat. Maybe he knew how good he had it, loving parents, older brother, nice house, safe school. Maybe he knew his time was short. “We’re gonna go get some coffee,” he told his mother that night, when they finished with the yearbook. Say good-bye to the third innocent victim. Ashley Easterbrook, 18, had met Andy and Mike on a ski trip over the winter. She wasn’t expecting them to call that night, but she was happy they did. They wanted to go for coffee, and it was cool to go out with college guys, especially since she was just five days from graduating high school herself. Well, if you didn’t know Ashley Marie Easterbrook, you might not believe she existed. How could anyone this young, popular, beautiful and vivacious also be captain of the gymnastics team, a National Honor Society member, lifeguard at the local aquatics center, founder of a bilingual tutoring program, and holder of Franklin Planner so stuffed with activities, it made Bill Gates look like a slacker? Ashley was a ball of teenage energy, with white teeth, blue eyes and blond highlights on her camel-colored hair. She was not the best gymnast on the Troy High School team, but she was captain because of how she made everyone else feel. In the floor routine, her specialty, she scored well, not only because she could ad-lib a flip or a tumble — or the move she practiced in her backyard until her muscles ached, a back layout — but because she had a smile that was hard to mark down. “Quiet,” she said, urging everyone to listen to the words. Ashley’s parents, David and Gail, always had trusted their daughter implicitly. So when Mike Jamieson and Andy Stindt came to the house that evening, they greeted them the way they greeted all of Ashley’s friends, with smiles and handshakes. And when the kids said they were going out for coffee in royal Oak, David and Gail didn’t need to remind Ashley of her curfew. She knew it. Twelve thirty. “Bye!” Ashley sang to her parents. They heard the door close behind her. dropped her daughter at home and went out again, to a restaurant bar. Whom she was drinking with is still in question. How many drinks she had is also in question. What is not in question is the effect of those drinks. She was more than legally drunk when she got behind the wheel of her white Trans Am. And she was traveling somewhere between 80 and 90 miles an hour when she came to the Crooks and Long Lake intersection, just a few minutes after midnight. Parents who truly know and love their children can always tell when something is wrong. Penny Mapes, Michael Jamieson’s mother, had the feeling the moment she was awakened by a phone call around 2 on that wet summer morning. It was a friend of Ashley Easterbrook’s, trying to locate Ashley. The friend sounded worried. “I’ll go downstairs and check with Michael,” Penny said. But she was starting to think Michael wasn’t there either. Just as she reached the first floor, the doorbell rang. Two police officers stood outside. “Mrs. Jamieson?” one asked when she opened the door. “Is Mr. Jamieson here…” At the same time, a few miles away, Nan Stindt woke up and saw the light on in Andy’s room She felt a shiver. She always left the lights on when the kids were out, so when they came home and went to sleep, she would know by the darkness that everything was OK.
She ran into Andy’s room and saw that he wasn’t there. She yelled for her husband. Then remembering Andy had gone out with Mike, she immediately called Mike’s house..
Penny answered. She sounded odd. There was a stunned silence, the intersection of sympathy and horror. Penny couldn’t find the words. A few miles away, David and Gail Easterbrook were also awake and calling the police. He described Ashley. Her height. Her weight. Her hair. Her face. He saw her childish beauty so clearly in his mind’ eye. Uncharacteristically, she had forgotten her wallet, she had no ID when investigators arrived. “Please hold on,” the policewoman said. David waited a minute, maybe two, the world’s most unbearable silence, a child in the balance. “Total hell.,” he would later call it. How else do you describe it? “Well, what hospital is she in? David said. Gail began to weep. David felt dizzy. He ran out the door and hollered at the night sky, words he never used, angry words, curse words, words of anguish and agony and disbelief. “NOOOOO! NOOOO!” Neighbors awoke and looked out the window. Adam, Ashley’s brother, heard his father yelling and began to cry. Gail stood beside him, numb and sobbing. When a police officer arrived, David raced up to him. And when the officer said the kids had done nothing wrong, they hadn’t been drinking, but “sir, I’m sorry, your daughter is dead,” David thought, not his daughter, not his first-born. She had to graduate from high school this week. “Punch me! Hit me! I’m dreaming! It isn’t true! There’s no way! There’s no way! Ashley Easterbrook was buried with her mother’s rosary, stuffed animals, varsity letters, and photos of the gymnastics team. Andrew Stindt was buried with his lacrosse uniform, a cross from his older brother, and a golden shell souvenir from Hilton Head. Michael Jamieson was buried with a Western Michigan flag, a bottle of his favorite cologne, and a baseball glove. The funerals were staggered, so that kids from the high schools could attend all three. No one in Troy could recall bigger gatherings, people spilling into the hallways and vestibules and front steps. No one could recall more tears. Lori Ann Smith was buried, too. She is also a victim — her own. She left a weeping child and a grieving husband. She had never been arrested for driving drunk before. But her blood-alcohol level that night was between .14 and .17; well above the legal limits, and no one will ever be able to ask her what she was thinking. In the weeks that followed, as the visitors thinned, the grief grew more acute, and the families yearned for any signs they could find. There’s a light above the shower in John and Nan Stindt’s bedroom. Now and then, when one of them is around, it flickers on inexplicably, just holds the light, then goes off. Meanwhile, Randy Mapes, Michael Jamieson’s stepfather, wears a watch that Michael had ordered him from Sports Illustrated. After the accident, the watch alarm began to go off. Randy took it to a repair place, but they said there was nothing wrong with it. The time when the alarm sound is always the same: 12:16 a.m. The time their son was killed. Ashley Easterbrook’s father, David, didn’t wait for signs. A make-things-happen man in his job as human resources director for Kmart, he threw himself headfirst into the issue of drunken driving. He wrote to judges. He collected data. He gave interviews, spoke in public. It made him feel somehow closer to the little girl he lost. Ten days after his daughter’s death, David was in courtrooms, witnessing the way drunken driving cases were handled. He was flabbergasted. Cases being dismissed, shuffled through, bargained down. Ten weeks after the accident, Easterbrook accompanied police on a special patrol. They arrested nine drunken drivers in seven hours. One woman was weaving all over the road. When the police handcuffed her and put her in the back of the squad car, she was livid. “You guys think you’re really big men, don’t you?” she hissed. She glared at David, and mistook him for a copy. “You should be out arresting murders!…I hope your mother dies! I hope your wife dies! And the stunning thing is, there’s a story like this every day. Tonight is New Years /Eve, a potential disaster for alcohol and vehicles. 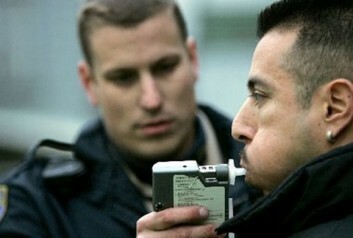 Last New Year’s Eve, 50 Americans were killed by drunken drivers. Mothers Against Drunk Driving estimates that on a typical Friday or Saturday night, there are thousands of drunken drivers on Oakland County roads lone. And those are nights without champagne toasts and party hats. So tonight, what Michael’s family and Andy’s family and Ashley’s family want you to know, what these weary mothers and fathers and sisters and brothers want you to know, what these hundred of cousins and uncles and aunts and friends and teammates want you to know, is simply this: When you drink and drive, you become a potential killer. And when you kill, you don’t just kill a person. You kill Christmas. You kill New Year’s. You kill Sunday dinners and Saturday picnics. You kill holidays, vacations. You kill summer and winter. You kill photo albums. You kill home movies. You kill a popular gymnastics captain, and a smiling baseball pitcher, and bass-playing lacrosse star. You stop time in its tracks. You ruin everything for so many people, hanging an anvil of depression around their necks, and for what? That is what they ask of you: For what? For a Red Wings celebration? For a New Year’s party? For the simple inconvenience of asking a friend to drive, or calling a cab? If you drive past Crooks and Long Lake today, you’ll see three large wreaths positioned around the intersection, each bearing a single red ribbon, one for Ashley, one for Michael, one for Andy. They sit precisely where that first young man discovered their bodies, shortly after midnight, when heaven opened in a gentle summer drizzle, and life met death in a chilling chorus of why, why, why? On April 9, 1998 the Detroit Free Press announced that Mitch Albom had been selected the nation’s best sports columnist for the 11th time in 12 years. He also won the feature story division for the fifth time in six years in the Associated Press Sports Editors contest. His winning feature story was the story you just read about Ashley, Michael and Andy. The Easterbrook family thanks Mr. Albom for his caring, not only about the issue of drunk driving, but for the kindness, and compassion he exhibited for our daughter, and big sister, Ashley. Reprinted from the Detroit Free Press, Wednesday, December 31, 1997.